Installing heavy rock and aggregates has never been easier with our fleet of blower trucks. We can pump soil into backyards, planter boxes, embankments and rooftop gardens multiple stories up! MulchXpress is one of Victoria's largest producers of pinebark, recycled timber, colour mulch, pine chip and more. Whatever mulch you'd like - we've got you covered! MulchXpress stocks two types of impact absorbing Softfall - both certified to AS4422 (2016). All of our Softfall is stored undercover and on concrete, therefore you're always getting the good stuff. MulchXpress blend premium soils in-house to provide you with quality growing media with proven results. Our soils exceed the Australian Standards and can be used for planter boxes, garden beds or turf areas. MulchXpress can pump Rock! Save yourself the hassle and pain of doing it with a wheelbarrow. Scoria, Recycled Concrete, Crushed Rock, Tuscan Toppings and more! 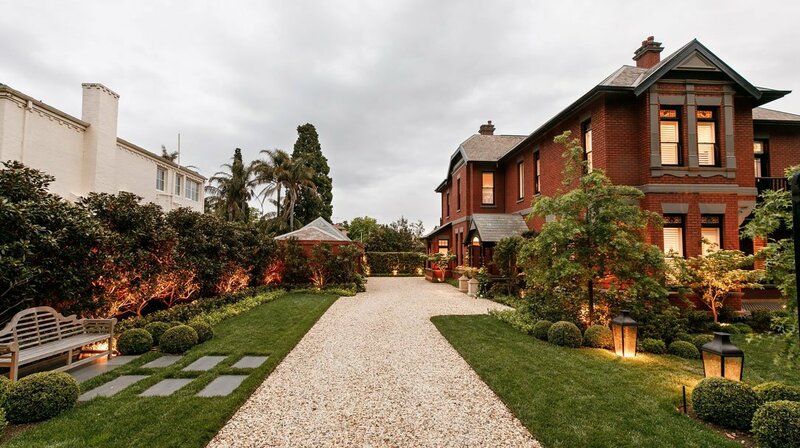 We are Melbourne’s leading rock, soil and mulch blowing and pumping specialists. Serving the commercial, civil and residential sectors, we take the hard work out of landscape gardening. MulchXpress is a wholly owned family business of mulch suppliers and machinery in Melbourne. Using state-of-the-art soil pumping and mulch blowing trucks, we can install a range of materials into various environments including parks, playgrounds, embankments, garden beds, retaining walls and planter boxes. Our hoses can pump up to 200 meters from the truck or even multiple stories up, making jobs with tight access a breeze. 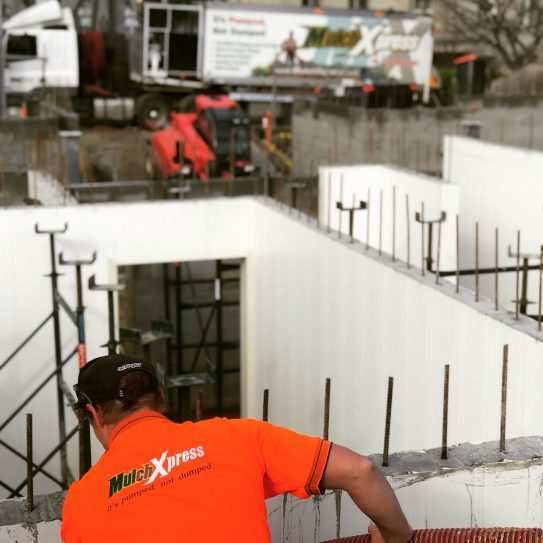 Our experienced team of operators are here to help ease the pain of installing various materials into those hard-to-reach areas. Call us today to find out what we can do for you. With over 10 years of experience, MulchXpress caters to businesses large and small, assisting with jobs spanning over 2 years as well as smaller private home jobs. 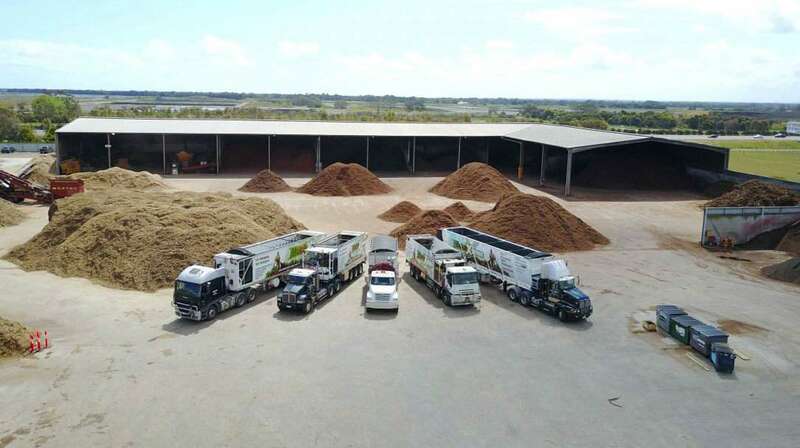 No matter the size, we aim to ensure that your job is made easier all while offering the most competitive mulch prices in Melbourne. Pinebark, recycled timber, colour mulch, soil, aggregates and rock, scoria and more.. we blow mulch directly to the area you need to get it without any hassle! Contact us for a free measure and quote. Call us today on 1300MULCH or email sales@mulchxpress.com.au for more information. Need landscape materials PUMPED into hard-to-access areas? MulchXpress focuses on providing a top-notch service. From the first enquiry through to the final cleanup, we will endeavor to leave all of our clients 100% satisfied. 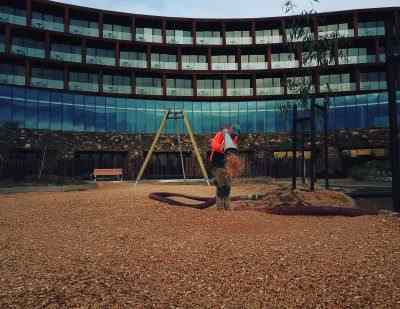 Pinebark, Softfall, Recycled timber mulch, Colour mulch, Soil, Rock and more... all produced in-house and stored on concrete. All of our machinery is serviced and maintained regularly and our staff are trained with a strong emphasis on job precision and customer service. We complete jobs for all areas of landscaping and construction including: Commercial, Civil, School and Governments as well as Private Residential Homes.